View the recording of the webinar at http://bit.ly/webinar_rec. 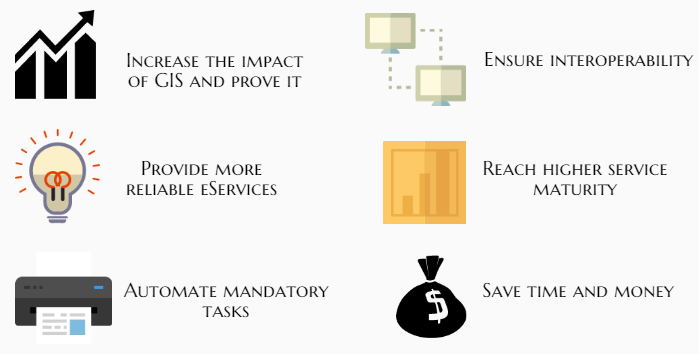 Would you like to prove the benefits and value of your spatial web services? You would know who uses your data, from where, and when. You could detect faults and make accurate improvements where needed. Would you like to do all this and at the same time, spend less time and money running and developing your services? As a Spatial Data provider, you need to know your ongoing service level, what are the performance limits of your service and what are the possibilities in increasing the impact of your GIS. You should be able to automate mandatory monitoring and reporting tasks as well as to easily analyse the usage of your service. This is possible when the operation of the services is constantly verified by an independent third party. At the same time, effective maintenance of the service is enabled as all deviations are documented and reported online.